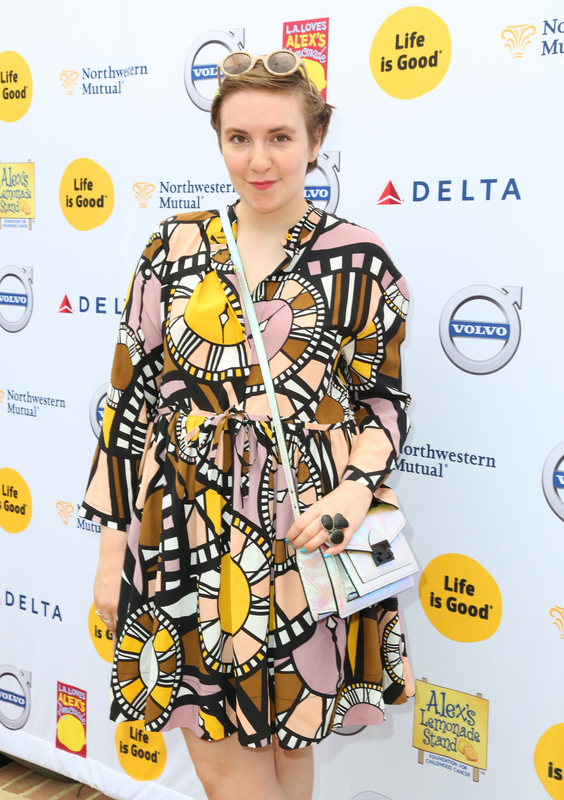 Lena Dunham, who has famously not been shy about her support for abortion rights, recently asked two women to share their stories about life before Roe vs. Wade became the law of the land. And now, the politically active actress wants young people all across the country to do the same thing. Lena Dunham started the #AskYourMother social media campaign to open a discussion about what getting access to an abortion was like pre-Roe vs. Wade. Dunham partnered with Girls producer Jenni Konner to ask two women about their personal experiences with abortion before it was legal for an edition of their digital newsletter, Lenny Letter. In a preview for the newsletter, the 29-year-old argues that the stories of people who experienced abortion before it was legal are important to hear because of renewed interest in many states in limiting the procedure or stopping it completely. Dunham shared a preview of an interview with Konner's mother, who said she traveled across the U.S.-Mexico border alone to obtain an abortion, as an example the type of stories she wants to make more prevalent. Leading up to the publication of the newsletter, Dunham posted a snapshot of the story to her Instagram with the hashtag #AskYourMother, in relation to asking your mother or a mother figure about life before Roe vs. Wade. Of course, one hashtag campaign will not find one easy solution to disagreements over reproductive rights. Abortion is a very complex topic and, much like with other big political issues, social media won't change that. But it does serve as a great conversation starter. The abortion experience wasn’t bad in itself, but the ride down was a nightmare. On the trip with me were a cheerleader and her boyfriend. She cried for the 300 miles to Ensenada. And there was another girl that never said a word, who was also with her boyfriend. We had to have the sunglasses in our left hands so we could find this young Mexican guy who would show us the way to the doctor’s. Dunham and Konner hope that the younger generation will ask older people about what access to abortion was like in the past because, as they say in the Lenny Letter preview, "talking about it keeps it from being shameful." They add that reminiscing about these stories from the past, "reminds us where we’ve come from and why we can’t go back there."